The long-haired boys from Edmonton, Kentucky, (Richard Young, Fred Young, Greg Martin and Doug Phelps), hit the road August through December on the tails of their latest album release, Meet Me in Bluesland, which hit stores on June 2 and is a collaborative effort of previously unreleased, original material featuring late, great pianist Johnnie Johnson — a Rock N Roll Hall of Famer and keyboardist for Chuck Berry. 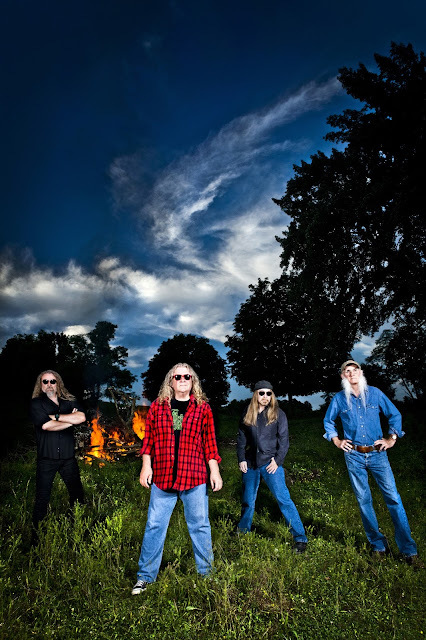 Meet Me In Bluesland showcases The Kentucky Headhunters' familiar blues influence on a whole new level, and the album has created a momentum, fueled by its No. 1 Billboard Blues Album debut and top placement on the Billboard Americana Chart, that continues to carry the group into the upcoming dates. For more information on The Kentucky Headhunters, visit kentuckyheadhunters.net or follow them on Twitter at @kyheads and Facebook: facebook.com/kentuckyheadhunters.